Bali is a place that no-one could ever call one-dimensional. The island’s unique Hindu culture and captivating scenery are pretty hard to resist, but for a sizeable number of younger visitors, it is the lure of pounding waves and huge barrels that calls them to this island paradise. From its early days as a tropical island hotspot, Bali has always been a surfing heavyweight. Few other places can boast such a vibrant beach scene, a great party atmosphere, world-class waves and rock-bottom prices – pretty much the ideal combination. So where to go to catch the perfect wave in Bali? There are over 30 established surf spots on the island, generally located in the southwest, including the legendary breaks of Uluwatu and bustling Kuta beach. Elsewhere, you will find a handful of quieter spots further east - just beyond the resort of Sanur - which are at their best during the rainy season months. Here is an overview of the very best of Bali’s waves, whether you are a first-timer or a seasoned pro. 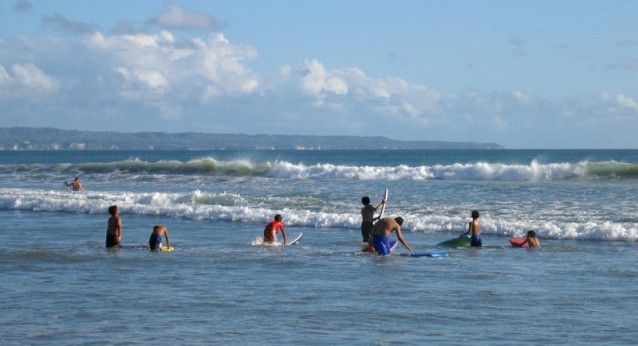 For most people, Kuta Beach is surf central. The vast majority of surfers linger in Kuta as much for its wild party scene and cheap guest houses as for the surfing itself. 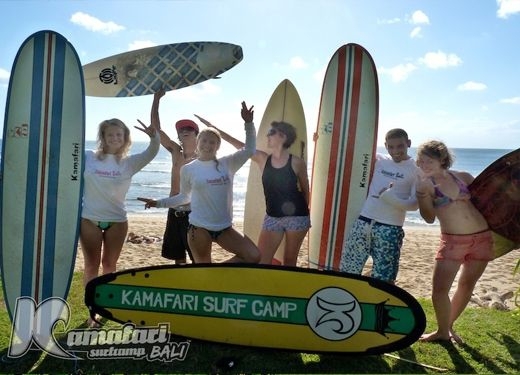 Foremost, Kuta is the best spot to learn the basics at a host of professionally-run surf schools. Rip Curl School of Surf is among the very best, and offers dedicated lessons for kids too. The long expanse of Kuta Beach is often an overwhelming mass of bodies in and out of the water, with an incredibly vibrant scene through the day - and you simply cannot miss the spectacular ocean sunsets in the evening. Kuta’s waves can initially look quite daunting to the first-time surfer but are very consistent through the dry season, and you will be amazed how quick the learning curve can be. Numerous lanes leading off the main beach road are home to a bewildering number of board rental shops, surfer-chic fashion boutiques and a host of laid-back, surfer-friendly bars. This is a dry, sparsely populated place, framed by rugged cliffs pounded by fierce southern ocean swells. This is where the experts come to get their kicks, and a regular stop on the world pro surfing tour. Numerous surfing movies have been filmed here, too. The waves at Uluwatu and Padang Padang are lauded as some of the very best in the world, and definitely not for the fainthearted. Balangan and picturesque Dreamland beaches both offer slightly less intense waves that are a good challenge for intermediate surfers. Even for non-surfers, this is a fine place to hang out, watch the experts in action and admire the fabulous ocean scenery. The vibe on the Bukit is laid back, and it is essentially a fairly rural area, quite rugged in places. This is because the whole peninsula is situated on porous limestone, and because the Bukit does not get its fair share of the rains. There are many exclusive cliff-top villas dotted around the coastline, and more recently a handful of budget surf camps have opened, where guests can literally live the surfer lifestyle 24/7 without the obvious distractions found in bustling Kuta. 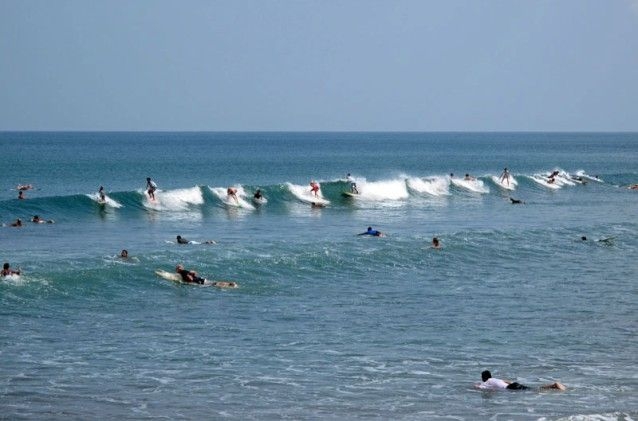 Around the same distance heading north out of Kuta is Canggu - a fun spot for surfing newbies to learn a few basic moves on soft, rolling waves, as well as a few fast-moving surf breaks for intermediates. The Canggu area groups together the beaches at Batu Bolong, Berawa, busy Echo Beach, and sleepy Pererenan. The scenery is fabulous here – a mixture of golden and black sand beaches and endless views of rice fields. However, there is rapid development taking place, and waves can get crowded in peak summer months. Less-experienced surfers should watch out for strong undertows and razor-sharp coral at low tide. There is little action after dark in Canggu, but the beach vibe is lively with a big community of friendly local surfers. Isolated out in the west are the sleepy villages of Medewi and Balian, two good all-round surf spots for intermediates who don’t mind the quiet life. Both beaches have a raw, old-school surfer vibe with little to do after dark other than star gaze around a beach bonfire. Medewi in particular has been mooted as Bali’s next big thing, but waves are almost always uncrowded and it is a welcoming place to simply linger for a few days. There are a couple of surf schools and board-hire shops, but this is a far cry from the Kuta scene. Nearby Balian offers one of Bali’s most consistent waves all year round, and gets significantly more swell than most spots in South Bali. Whether you are taking your very first steps as a novice surfer or love the danger of huge offshore waves, Bali fits the bill perfectly. The wild, untamed ocean scenery, particularly in the far south, is inspiration enough to get on your board and get that adrenaline pumping. Bali’s surfing scene is great fun, with non-stop action in and out of the water. Even solo travellers will find it easy to mingle and meet new friends. You'll soon be on a "sepeda" with your board strapped into its side-saddle. Bali has 50 surf spots. Nearby Lombok has 17. 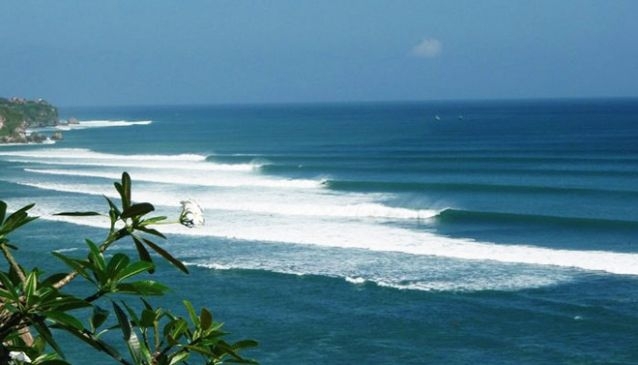 For more information on Bali surf spots and their ratings, click www.wannasurf.com This will take you to Asia, then Indonesia, then Bali. List of rated surf spots. Watch an awesome video of titled Canggu in West Bali on same pages. To check weather on the Playground islands Nusa Lemgongan, etc., go here.